The Dark Web's "Amazon" AlphaBay was taken down by international authorities in early July. Users wonder when and if the marketplace will return. One of the Dark Web’s largest contraband markets, AlphaBay, went offline earlier this month, leaving its customers baffled as they lost access to their funds. 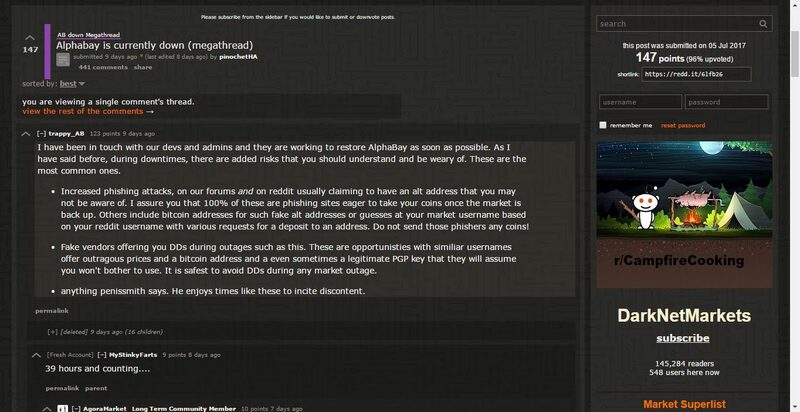 On July 4th, AlphaBay went mysteriously offline and sent thousands of its clients in panic for fear that they have been scammed. It is not uncommon for Dark Web markets to shut down and flee with their customers’ funds. For instance, in 2015, the Evolution marketplace made headlines when it closed down and took over 40,000 Bitcoin amounting to $12 million USD that time. All funds kept in escrow were stolen purportedly by its administrators or someone who successfully hacked the system. Unfortunately, none of the funds were ever recovered. 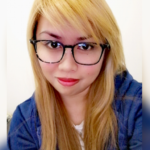 Codename trappy_AB also warned AlphaBay users to be wary of phishing attacks and fake vendors offering DDs. However, after hours of waiting, the said marketplace failed to resurface online. On Thursday, more than a week after its disappearance, the Wall Street Journal reported that AlphaBay was shut down by international authorities after a series of sting operations extending across three countries: the United States, Canada, and Thailand. Reports claimed that the site was shuttered and one of its operators, Alexandre Casez, was taken into custody by Thai authorities in Bangkok on July 5th. Sources said police were able to seize four Lamborghinis and about $11.7 million Thai Baht from Casez. However, a July 12th report from a local news outlet, the Bangkok Post, said Casez was found dead in his cell at the Narcotics Suppression Bureau in the city’s Laksi district. According to the report, a duty officer was making the rounds when he noticed a towel hanging from the toilet door of the drug suspect’s cell at about 7 AM local time. When the toilet was opened, Casez was found hanging, dead. Camille Habel, a sergeant at the Royal Canadian Mounted Police’s high-technology crime unit, confirmed they executed a search warrant in Trois-Rivières, Quebec on the same day Cazes was arrested in Thailand. People familiar with the matter said the Canadian authorities were able to seize AlphaBay servers in Quebec. Further information about the sting operation is still murky as officials involved with the case have not given any statements yet. After the arrest of Ross Ulbricht and the demise of his Silk Road marketplace, no site has dominated the Dark Web until the emergence of AlphaBay. AlphaBay was launched in 2014 and has since been branded as the Amazon of the TOR community. In just its first three months, it gained 14,000 users. In 2015, it was declared the largest online darknet marketplace according to Dan Palumbo, research director at Digital Citizens. From January to June of this year, it was reported AlphaBay already sold $5 million USD worth of stolen credit card numbers. AlphaBay openly sells stolen personal data from people around the world, drugs, guns, malware, and other illegal goods. Like all other darknet markets, it operates using cryptocurrencies like Bitcoin and Ethereum that were kept in user escrow funds. With AlphaBay gone, DeepDotWeb, a website that monitors the Dark Web, reported its former vendors are now flocking other Dark Web markets. Currently, three marketplaces have taken over the throne of AlphaBay: RAMP, Dream Market, and Hansa Market. With governments now joining forces to crack down criminal organizations in cyberspace, will this be the beginning of Dark Web’s fall from glory? Who will be the next marketplace to bid farewell to its illegal activities?